The National Bureau of Investigation (NBI) finally activated the much needed upgrade in the processing of NBI clearance. That upgrade is transferring most of the procedures online. I just discovered this new procedure when I applied for an NBI clearance this month. I was told that I don’t need to go to NBI office and suffer the usual “pila”. All I have to do is to visit the NBI website and set a schedule for the processing of NBI clearance. I’m cynical that this new system actually works. (actually, I’m always cynical when it comes to the Philippine government). I was proven wrong because I processed and got my NBI clearance with minimal inconvenience. NOTE: The procedures in this post are for those who will use the Online NBI Clearance system for the first time. 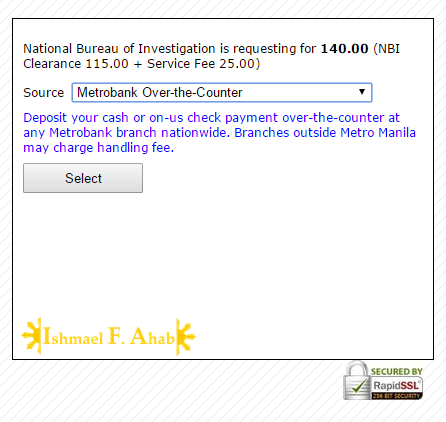 Step 1: Go to the NBI Clearance website. 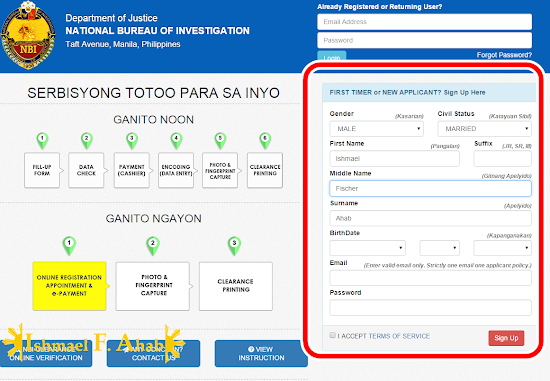 Step 2: Fill-up the application for First Timer or New Applicant in the right side of the NBI Clearance website. Click the “I Accept Terms of Service” and the “Sign Up” button after you filled up all the required details. First Timer or New Applicant sign up form on the right side of the NBI website. Step 3: Click “I Agree” on the “Acceptance of Terms and Conditions” pop-up that will appear. 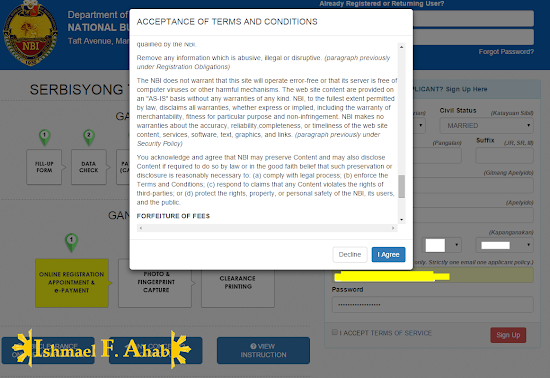 Step 4: Fill-up the required information in the online NBI clearance form in the next page. Click “Save Information” button once done. Step 5: Click on the “Apply for Clearance” in the next page that will appear. 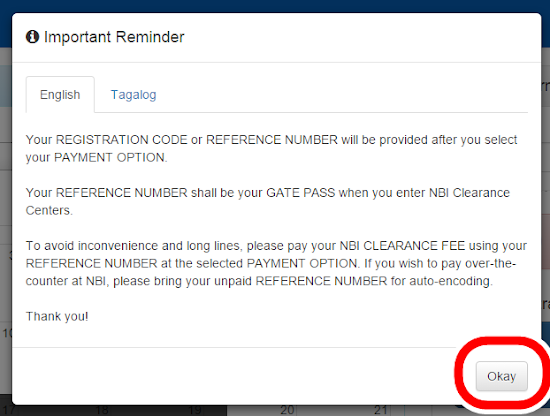 Step 6: In the pop-up that will appear, choose “Renew” if you are renewing your NBI clearance. 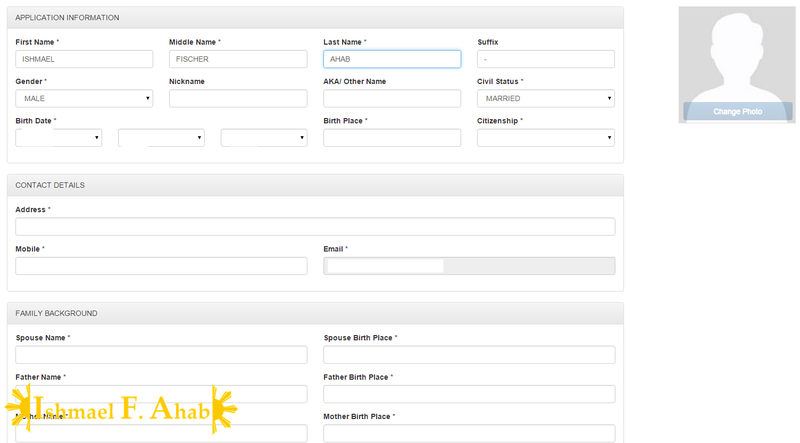 Type in the ID that you will use when claiming your NBI clearance. 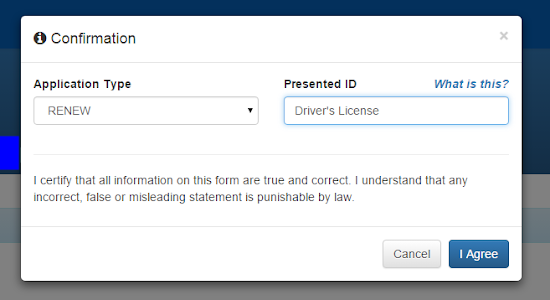 Click the “I Agree” button. Step 7: Click “Okay” to the reminder that will appear next. 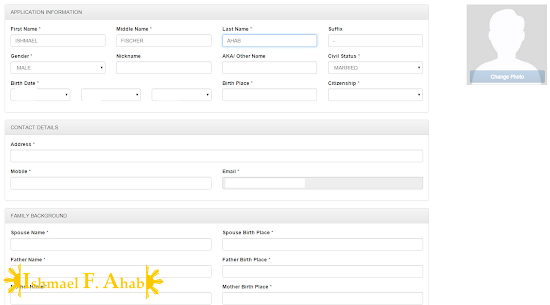 Step 8: Select the NBI branch and the date when you want to process your NBI clearance. You are required to personally appear at the NBI office for biometrics and picture-taking. 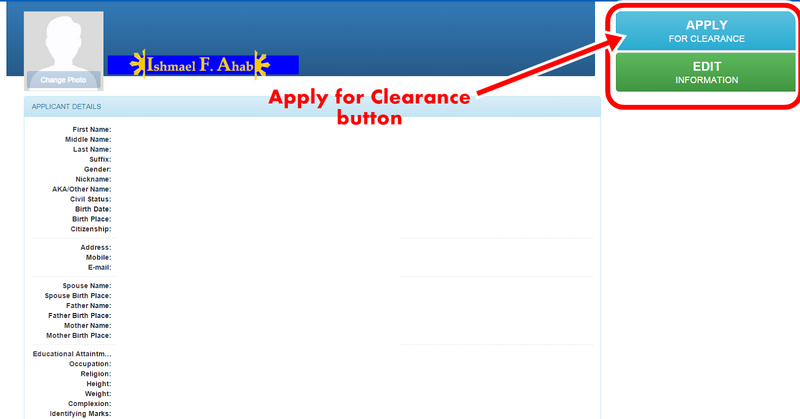 Also, select the purpose and the details of your NBI clearance application. Finally, you have to choose one of the following payment options: (1) Banks, over the counter, (2) Banks, online, (3) Mobile payment, and (4) Bayad Center. I chose the first option when I applied for the renewal of my NBI clearance. Step 10: Choose the bank where you want to pay the NBI clearance renewal fee. You can choose from the following banks: (1) Metrobank, (2) BPI, and (3) BDO. I chose Metrobank because they don’t charge any service fee. 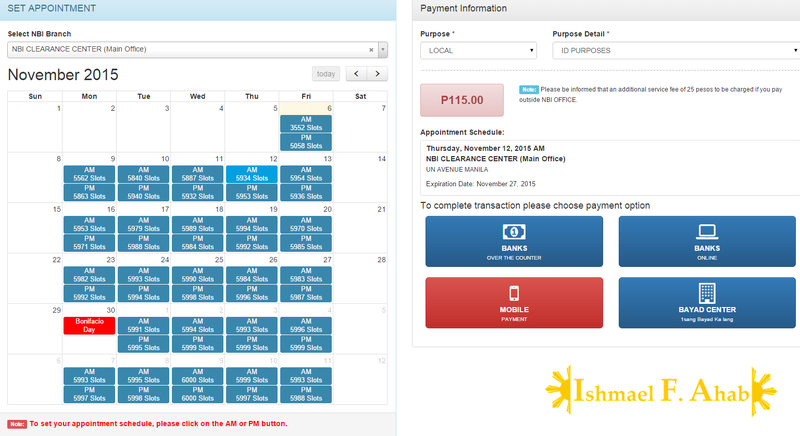 BPI charges 50 pesos service fee while BDO charges 25 pesos. 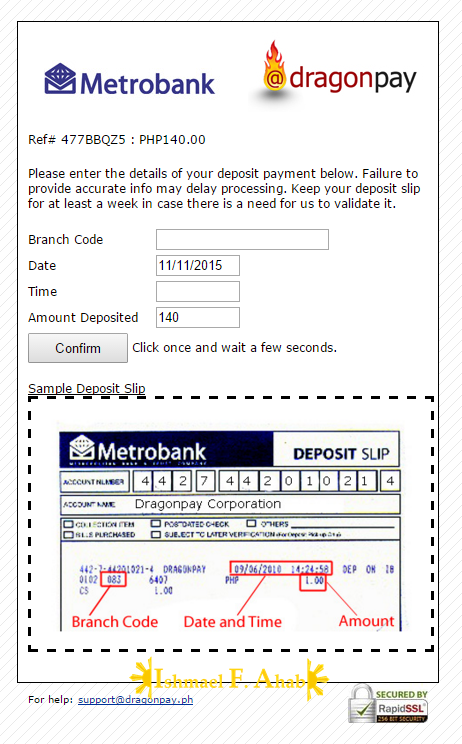 You’re successful in doing this step when you receive a confirmation email from NBI/DragonPay. 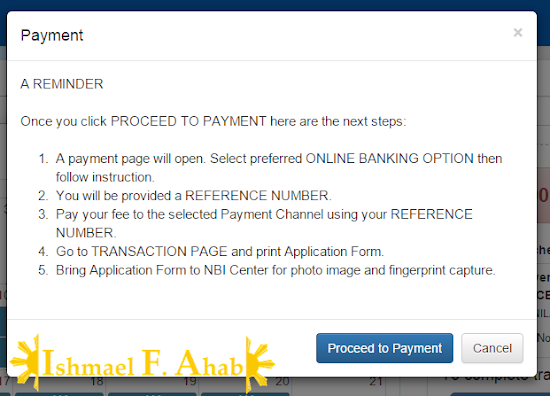 Step 11: Follow the payment instructions and then pay the specified NBI clearance fee. Keep the deposit slip or the payment slip because you will need it later when you go to the NBI office. Click on the confirmation link emailed to you by NBI/DragonPay and confirm your payment. Payment confirmation form by DragonPay. Step 12: Go to NBI branch on your appointed schedule. Show your deposit slip or payment slip and have your photo taken and then fingerprinting. Step 13: Pickup your NBI clearance at the NBI office on the date given to you during your fingerprinting. These are all the steps that you must follow. They are quite plenty but they are easy to follow. In fact, I am so glad that NBI improved their system. I didn’t experience any hassle because I only spent less than 30 minutes waiting for the fingerprinting and photo capture. NBI’s online clearance application system is a milestone to the agency. I hope that they continue to improve their system.